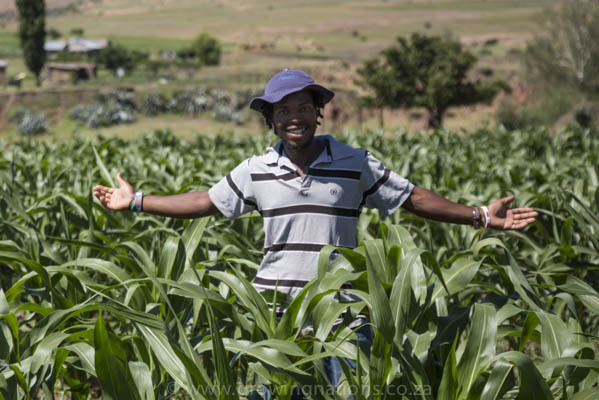 Rorisang Moliko is the Growing Nations Farm Manager at Maphutseng, responsible for running the 10ha demonstration farm, which is used to show farmers what can be achieved using Farming God's Way Conservation Agriculture methods. He mentors a part time farm assistant & also regualrly works with teams of local community members who help with weeding, harvesting & threshing at different times of year, as well as managing jobs for those participating in the Resident Student Program & the regular groups of visiting volunteers. Rorisang also manages the maintenance tasks around the farm & wider Growing Nations site. He joined Growing Nations in September 2013 to take up the role of trainee farm manager, having recently returned from Canada where he had been taking part in the MCC IVEP (Mennonite Central Committee International Volunteer Exchange Program).